When it comes to sprawling ground cover plants, the choices are endless. Chrysogonum virginianum, or green and gold, is a gorgeous choice due to its dainty, star-shaped yellow flowers with spooned leaves. It makes for a sense and beautiful ground cover. Without further ado, let’s learn how to care for this incredible lawn alternative! Scientifically known as Chrysogonum virginiaum, with “Chrys” meaning “gold” and “gon” meaning “offspring.” It’s named after the kind of flowers that it produces during its blooming time. Belonging to the Asteraceae family, it’s a perennial herb with hairy leaves and clusters of gorgeous yellow flowers. For Zones 5 to 9, this creeping native perennial offers low mats of yellowish daisy-like flowers from summer to fall. The leaves are small and green, a great contrast to the flower. It’s easy to propagate in spring and a quick spreader. It likes rich, loamy, moist soil in partial shade to full sun — more shade if planted in southern areas. 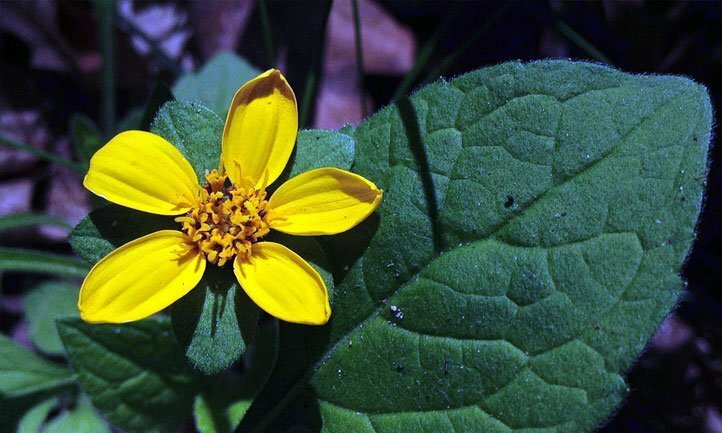 Also known as the golden star plant, is native to the eastern United States. It is commonly found in New York State, Rhode Island, Florida Panhandle, and Louisiana. Before we get into how to care for it, let’s look at the different varieties available. There are three main varieties of this plant, categorized by where they originated. Commonly found in Florida, Georgia, Alabama, Mississippi and Louisiana, this variety is an ideal option for those looking for low maintenance plants. 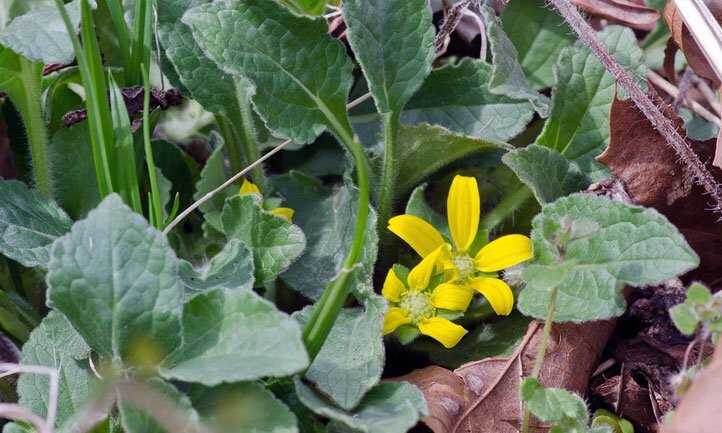 They bear dark yellow flowers in early spring with a low-growing mat of dark green leaves. This variety is commonly referred to as green and gold. What makes var. australe different from the other varieties of the green and gold plant are its shorter flower stem and more rapid expansion of roots. Also known as golden star plant, var. brevistolon of the green and gold groundcover is a low-growing perennial. It is ideal for woodland path and rock gardens. You can pair them up with Virginia bluebells and have a beautiful looking garden! It has bright green foliage and showy yellow flowers having a star-like shape. 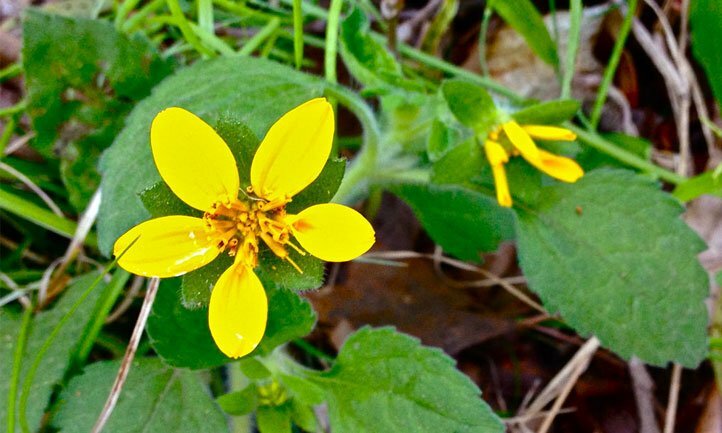 Their appearance resembles a daisy and has five rounded petals. This variety of green and gold plant can bloom from spring to fall in cooler climates. However, if you live in warmer areas, the blooming may stop in hot summer days. Var. brevistolon is common in Georgia, Alabama, Carolinas, Tennessee, and Kentucky. This is the most common variety that you’ll find. They produce daisy-like yellow flowers from March to October. May is the peak bloom time. The foliage is dark green and can grow up to nine inches in height. Var. virginianum is able to retain its evergreen leaves throughout the year and make an ideal choice for a rock garden. Golden star is a low maintenance plant. You don’t have to worry about pest problems, plant diseases and constant pruning. Also, it can handle average soil with moderate moisture. These plants grow well in locations with partial to full shade. They can tolerate full sun, but you have to make sure the soil remains consistently moist. The ideal location is a partly shady sun-dappled area. They prefer medium to wet soil. If you decide to plant green and gold in a location that is windy or gets more sun, you need to water the soil frequently or else it will dry up and your plants will suffer. Make sure to increase watering frequency during the heat of summer as well. Golden knee plant prefers neutral or acidic soil with pH value less than 6.8. Although it can handle wet soil, allow for some drainage or the plants’ roots will suffer root rot. 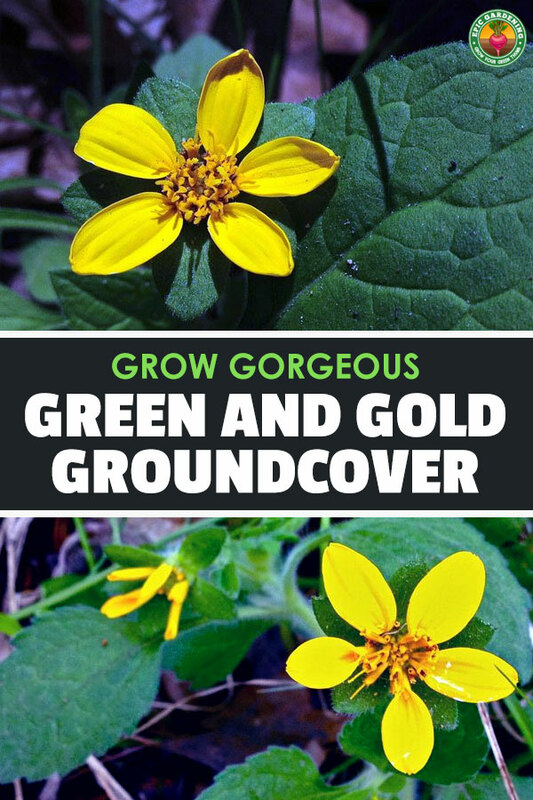 Although this yellow-flowered ground cover doesn’t absolutely need fertilizer, you can feed it with a slow-release, organic fertilizer if you choose. Mix into the top 1″ of soil before planting, or amend by sprinkling in spring and summer. Although most gardeners opt to grow as a ground cover, you can easily cultivate in a container garden as well. To repot, simply divide it and move to another pot. Pretty soon you’ll have another full container or growth! To propagate golden star plants, you can use the softwood cuttings technique. For this, you need a variety that produces stolons. These stolons can be cut and dug to extract the root from the soil and transplanted elsewhere. Another way to propagate is through the division of the crown. The best season to propagate by division is in late spring. In this season, seeds can be found around the base of established plants. You can store up these seeds and sow in a fine potting mix at 70-75°F. The seeds will start germinating in three weeks. If you’re looking for a problem-free groundcover to boost the aesthetic appeal of your home garden, green and gold is the perfect answer. It gives you the least level of trouble and is easy to take care of. However, you may run into a few key issues. Most of the issues you’ll run into can be solved by preparing a good soil mixture and watering appropriately. As mentioned before, they need a part to full shade and moist soil. If you get those two conditions correct, you shouldn’t have any issues. You can add composted pine bark at 20% volume into heavy clay soils to avoid the possibility of roots rotting. They rarely experience pest problems. However, snails and slugs can eat holes in newer spring foliage. It won’t cause any serious long-term damage, though. You can eliminate them by using iron phosphate, the beer trap, or a variety of other slug and snail control methods. Every so often your golden star may run into powdery or downy mildew issues. For care for those particular diseases, see our in-depth guides. Q. What fertilizer do I need for green and gold? A. A slow-release, organic fertilizer is best. You can mix it in the planting soil at the time of transplanting your starts. Q. I have neutral soil. How do I make it ideal for green and gold groundcover? A. Neutral soil works fine for green and gold. To make the soil acidic, you can incorporate dolomitic limestone in the planting area to bring the pH down to below 6.8. Q. Which variety of green and gold is best for larger woodland sites? A. Chrysogonum virginianum var. australe is ideal for larger woodland sites because of their ability to rapidly spread. This ground cover is available in multiple varieties and can be grown in diverse landscape and climatic locations. You can even plant them in your home with little effort required.